Hope you will join me. See you there. I want to express Thanks to all the bloggers and readers who click on this blog and have a good read each time. Thanks to all the bloggers who decided to bestow on me these awards. Forever Friends Award from Sandra. Her blog is at Sandra’s World. The final award comes from Pat over at Pat’s Letters God Inspired . To help us celebrate we have Lady Gaga’s Bad Romance. I love this song. ***I must apologize to all my friends who have Blogspot blogs. I am having a problem leaving my thoughts on your blog. I am trying to solve it. I have not forgotten you at all. According to Wikipedia, money is anything that is generally accepted as payment for goods and services and repayment of debts. For everyone, we interpret and treat money differently. Whether it is the abundance of wealth or the lack thereof there is a certain level of importance which we all seem to place on the precious commodity. From the Forbes list to the United Nations Poorest Countries list we seem to rank everything from those who do not have it to those who have it and may waste it. We live in a world where it seems to have a voice you should have cash to care. If you grew up in an environment where everything is lavish, fabulous and expensive, you will view money differently from those who did not. It is highly probable that when you enter a certain level of wealth your expenses tend to be higher than others. It is true because you have to keep up with the lifestyle you live. One at this rank does not imagine the day when they will have nothing. Therefore, they will invest in portfolios, real estate and make other investments to maintain their wealth. The responsibilities that come with the lifestyle are also important. Case in point – Casey Johnson. Who knew someone could be kicked to the curb from a family who seemed to have everything? It seems more and more families with a vast amount of wealth are throwing out those family members who could appear to put the family’s wealth in jeopardy. Those who are rich sometimes are forced to continue that legacy to maintain their stature. On the contrary, persons who are rich can mismanage their wealth and become poor. Fantasia, the American Idol winner recently on Oprah opened up about her fall from grace. After buying her home and settling in, she had problems keep it. Her home fell into foreclosure and at one point she was unable to buy a pizza, her card failed. Money can be easy come and easy go. It takes proper financial management and financial sense to keep it. For those who grew up in a poor background, they understand the importance of money. For many, money is the way out of poverty and they will place all their focus on avenues that could get them out of that state. Whether it is a talent, education or an illegal activity, poor people in the right environment can charter a new course out of poverty. We have seen numerous stories of people who did not have it but with the right attitude and approach they were able to live a better life. Oprah, Jay Z, and Hilary Swank just to name a few have gone from the lowest echelon to some of the richest people in our world. However, people who are poor see money differently. People who are poor or who are in destitute positions do not see the importance of saving for the future and having investment accounts. Give someone who is poor a bank card with funds that could keep them for a month and see how fast that money goes. They tend to see money as short term, so they spend it to make them content in the moment. While there are others that if you give them the same amount they wouldn’t spend most of it because they understand the position they are in and have an idea of where they would like to be. Money today is perceived based on cultural attitudes as well. In our world today, young people are materialistic. We tend to focus on what is in, the latest Bling and fashions. The entertainment industry is pushing this attitude of ‘you can have it all’ and at all costs. Money and the abundance of it can last a lifetime if we understand the basic concepts. As human beings we need to live within our means and recognize that if we spend more than we earn we will be poor. No one wants to be poor; we want to be independent, strong and able to survive. With rising standards of living and costs going up, the worst thing that could happen to us is to lack needed funds. Money can be our way out of poverty but it can also lead to our own detriment. It is significant that we inculcate cultures where we are not so highly materialistic but we begin to inspire people that can handle wealth without ruining their lives in the pursuit of it. Sure money is good and wonderful to have but the love of it could ruin our lives. The movie Extraordinary Measures is an inspirational movie about a father and his quest to find the right medication for his two children that are suffering from Pompe disease. This is a genetic disease that affects children that disables the heart and muscles. Because of the underdevelopment of the muscles it leaves them confined to a wheelchair. Children with this disease normally die at around age nine, at that stage the organs enlarge. You can imagine the shock and the despair John Crowley (Brendan Fraser) and Aileen Crowley (Keri Russell) parents of the children feel when they are told their young children have less than a year to live. The family leads a pretty normal life, a working dad, stay at home mom with three children to care for. The father, a leading corporate executive is faced with a dilemma; to stay at his job and enjoy the perks of promotions – increased benefits, meeting deadlines and to watch his kids die from a disease that will rob them of a future before they are teenagers or leave the job and find the cure. Directed by Tom Vaughan, the movie’s cinematography is not only good but shows his experience. The scenes in the movie are amazing; they will grip you from the beginning to end. The characters all have personalities that make you connect more with them. The daughter Megan is full of personality, a typical 8 year old who desires a future. She likes pink and loves to play. John Crowley (Brendan Fraser) decides to fight the battle with his kids and leaves the state to the University of Nebraska where he meets Dr. Stonehill (Harrison Ford). Dr. Robert Stonehill (Harrison Ford) is a scientist who has explored the area of Pompe and has developed what he thinks is the cure. Leaving his wife behind with the children, John Crowley meets with Dr. Stonehill after chasing him down in the wee hours of the morning from his university office to a bar. At the bar, a relationship develops between the two. It leads to a business relationship, with both men partnering to find a cure to help the children, Megan Crowley (Meredith Droeger) and Patrick Crowley (Diego Velazquez). To make John Crowley’s dream a reality of not only benefiting his own children they meet with executives from drug manufacturers. With this new partnership there are other issues that arise which make the movie even more exciting to watch. Extraordinary Measures is a true story and is an adaptation of the novel The Cure by Geeta Anand. The movie also explores at length the politics, tribalism, materialistic goals of drug companies. I understand this is a moral dilemma for them and the company executives from the drug company kept emphasizing the importance of objectivity. Because, dealing with drugs, medicines and treating people if you are caught up with the Utilitarian Principle (doing good for the greatest number of people) you may not have a successful company at the end of the day. Drug companies are in business to make a profit and not primarily to save patients at the end of the day. In the movie John Crowley, the father of the children is caught up emotionally with finding a cure that there is a huge disagreement between him and the company executives. When the company had completed the process and it was time to test the medication, it caused a major conflict of interest. There was a conflict of interest because John Crowley had a vested interest in the company and he also had an interest in the success of the product. Of course he wanted his children to have the medication first. To solve the issue, he was fired from the company. It was sad to see him go but the drug company maintained their strict adherence to policy. His children did receive the needed medication. The testing worked and they responded well. The movie ends on a good note. Extraordinary Measures will not have you crying but its emotional journey will have you supporting these parents that placed everything on the line – their relationship and jobs to fight for a cure to save their ailing children. You will be cheering on these parents. I only wish that you will get a hold of this movie and see it. It is worth your time. I yearn for the will that I might have the same fervour and strength these parents had in their darkest moment. The strength to fight on till the desired end is attained. It is a day officially for lovers. However, we are going to change that and spread a little more love today to all the people we come in contact with. Love is not all about being intimate and cozy with the one you love but it is also about sharing your life and giving of your best to he many people we see and communicate with on a daily basis. Today let us all rekindle the fire of love where if I see you doing something wrong, love can correct it. It is love that makes me smile with you on a bad day or even when you have hurt others. Love is unconditional, not only desired in certain circumstances. This is dedicated to all the lovers out there. Let us use Valentine’s Day to love a little more. Rekindle the love today. Photos from Craig Bloomfield. Click photos to reach to his blog. Photos from Craig A Bloomfield. On a bus going home from class, passing a church I overheard a couple arguing on the streets in busy Kingston, the capital. As the bus accelerated I heard the guy who turned out to be in his early twenties blurted an expletive to the younger female who he was talking to. His angry tone rang sirens in my head and as I stepped off the bus I ran around the corner to see what was going down. To tell the truth the journalist in me was at its highest and I literally ran until I was there. I took out my blackberry to record the final moments of the argument but because of the darkness I couldn’t. I hope the next blackberry model will have an embedded light to record in the dark. When I reached an area near this couple they continued to argue while the girl started to cry. I love relationships. I love the stability and balance it offers for people who decide to share their lives with others. There is a glow that shines on those who share a bond. A glow so beautiful and loving that it makes onlookers jealous. Whether it is your soul mate or your best friend, a relationship with someone can make a friend’s life fulfilling. Relationships are like living things, they go through stages and their own challenges. My friends can admit (I hope) that they have never heard me arguing with people. Writing this now a moment in time flashes across my mind where I totally went bizarre on my friend who had hurt me so bad. That is one in a million times that I can go out on someone. I do not like arguments with anyone. If I see a crises coming on I literally ignore it. If that is not possible I just zone out, if I can’t step away from your presence. I know this in particular is true and it comes from my childhood experiences. My father would have disagreements and his way of expressing his dissatisfaction or grievance would be to argue and think that would be satisfying or solving the situation. From back then I have not liked arguing with people. I think they are better ways to solve issues that affect each other and that involves sitting down like adults and speaking through issues and seeking the best solutions. Can you imagine having to discuss disagreements on the streets? It is the most vulgar thing I can imagine someone doing. It is crude and shoddy because you are bringing your most private moments to the public arena and I do not want to be subjected to listen or see you pollute the environment with your antics. If I am not availing myself to discuss what is pertinent to you it means I am not ready to do so. It does not in any way give you the right to step in front of me on the street to make your point be known. Not only will I ignore you but I might act like I don’t know you. Before you have a fit. Ask yourself if this is something to be upset about? If it is big enough and you have reasons to justify it. Attempt to have dialogue with the person about the issue. Speaking with the other individual does not include shouting, expletives, and offensive remarks and so on. Speak in a relaxed tone and air your issues. If a meeting is not forthcoming, and you genuinely need to speak with this person it may be time to have others intervene (close pals, professionals) to help you if forgetting this person is not an option. Relationships die and you will have challenges. There is no way a face off on the street is the way to go about doing it. Sorry! Friendships and relationships will never go perfectly fine. You are two separate individuals, with two priorities, two different outlook on life and the aim is to make that one. If I am sure about one thing you will have mountains to climb with that diversity. But it can work. Next time you have a disagreement, count to ten and talk it through. Sorry about the quality of the video. Thanks to all the entrants and to those who visit this blog regularly. Stay tuned! You have studied hard for your examination and there beside you is someone who is intent on copying your answers. What do you do? It may be a great feeling for those who see it as helping out another but dishonesty cannot be rewarded. In Jamaica, the entertainers here have a bad habit or it may be a culture where they imitate popular songs internationally and write lyrics to make it their own with the same mix. A more recent case saw one of Jamaica’s dancehall artistes Vybz Kartel and Spice with a song called Ramping Shop (very sexual I might add) copying Neyo’s Miss Independent Woman. Only when the song was very popular internationally did Neyo file papers to stop these unscrupulous artistes from profiting from his work. Alicia Keys, Beyonce etc are all victims of this. Do you see elements of Beyonce’s style in this video? To imitate means to copy the actions, appearance, mannerisms, or speech of; mimic. In a recent post I expressed my admiration for Beyonce. I knew the regular readers would find that as a surprise. My love for her is more than an appreciation for her music but more so an admiration in the way she carries herself and performs in the music industry. Her team led by her dad treats her like a product – which is actually is. I may also like her because her father has many years experience in Marketing and knows the application and the understanding of such. I will agree with her critics that she isn’t the best singer the world has seen and she is overrated. However, what Beyonce has is a commanding stage presence, her performances are amazing and insiders in the music industry express many times over again that she works hard. To her credits, she has won tens of Grammies and reached many number ones on the biggest charts internationally. Anytime she exits the stage you would have known she gave her best and you would have been entertained by Sasha Fierce her alter ego. When you look at Lady Gaga, Rihanna, Alicia Keys; these artistes are popular because of their originality and the freshness they bring to the music industry. I have a problem with people imitating established artistes. Interesting I say that knowing I have a business background where you copy an invention or a process to make profits. However, I believe artistes who imitate are short on talent and lack the creativity they need to survive. It is also interesting to observe that artistes just starting out are the ones who imitate because they idolize these established artistes. Here in Jamaica, there is a female dancehall artiste who goes by the name D’Angel. I remember years ago in an interview she stated that her idol or the person she looks up to Beyonce. I didn’t know that idolizing an artiste would make you imitate their actions even their style of performane but that is imitation. The trend of imitating the hardest working female in the music industry even exist in USA I saw a video recently and the props, production of the video resembles one Beyonce did earlier in her career. Many people will not notice similarities like this except for the ones who are looking for the details. What if an artiste imitated Lady Gaga, then maybe the imitation would be clear for everyone to see. It appears the more mild the imitation artistes get a free pass on stealing someone’s ideas and make it their own to generate profits. For those who are able to dig up the singers Beyonce imitated will agree that some of her ideas may not be new but she uses her own style to add to what was done before to make it her own. I believe in making your own self. Each one of us has unique talents and gifts that make us special. What if everyone blogged the same way, sang the same way, listened to classical music etc we wouldn’t have diversity. Oprah recently produced a show to highlight the crises in Haiti. On the program Rihanna was featured singing Bob Marley’s Redemption Song. Here she sings an established song – sang it word for word but added her own style and creativity to the song – which turned out great. I cannot stop listening to this song which was produced to help raise money for the Haitians. Entertainers should desist from imitating artistes all in the name to make a profit. These songs are played on the internet and on local radio stations and I would assume they make money from appearance fees singing these songs. I am tired of it. Do not forget to enter my blog competition which ends on January 30, 2010 midnight. Enter on the post below. This blog has receive over 30,000 hits. When I passed my first 10,000th mark I received a comment from Ken who said “This is an awesome milestone. But you reach 20,000 even faster.” That appears to be so true and today we add 10,000 more. If you’re a faithful viewer of my blog you will know we celebrate each milestone. This one is no different and we are launching an exciting contest. Two individuals will be awarded the opportunity to appear as Guest Bloggers on February 8 and February 9, 2010. Leave a comment on this post (that will award you one entry). Your blog name will appear on the entry form. If you do not own a blog, you may still participate by leaving a comment. The notification I receive will provide your email address, which I will save and that will be on your entry form. To double your entry, RETWEET this: I just entered Write of the Guest Blogger on https://corvedacosta.wordpress.com/2010/01/20/30000-hits-strong/ Enter by clicking on the link. To triple your entry, you will have to comment three times on the post. It is as simple as A, B, C.
Entries are now open and will be closed on Saturday, January 30, 2010 midnight. Being the winners of this competition, you will have exclusive rights and authority on what is posted for the assigned days. In addition a widget with your blog/image will be posted at the top right position on the blog from February 1, 2010 to February 12, 2010 linking the photos to your blog (if you have one). ***Corve DaCosta has the right to reject any inappropriate post from the winners. The Grand Draw of the winners will be posted on January 31, 2010 on this blog via a YouTube video. All the best and May the best blogger win. Let the games begin. I am excited about this and I hope you will enter. A time to celebrate again! 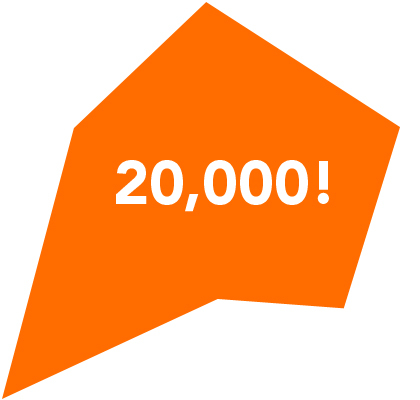 This blog received another 10,000 hits and we are now celebrating 20,000. I am so happy my blog is growing. I would never have thought bloggers would be interested in what I have to say. To the people who I motivate, inspire, and share information with – having fun, the laughs, the sad moments. This is for all for you.